Thinking about artists-in-residence experiences in urgent situations. 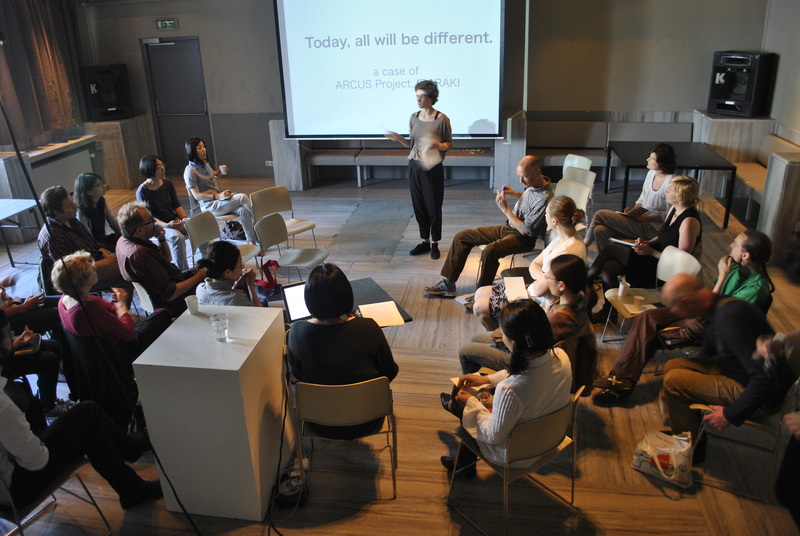 Trans Artists / Platform AiR NL organized a meeting on May 22 in Amsterdam for artists and organizers of artist-in-residence programs about facing the unforeseen. How can AiR organizers continue working in a situation of urgency? How can artists prepare for working in an unstable environment? How to assist artists who come from unstable situations? 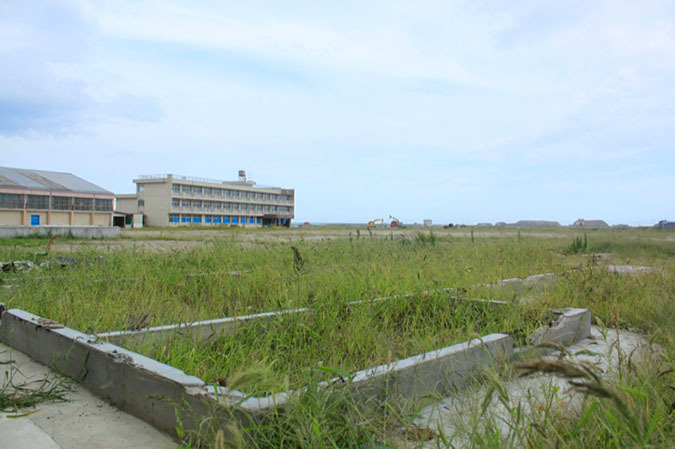 After the tsunami and nuclear disaster took place in Japan in March 2011, Japanese AiR organizers approached Trans Artists to address these subjects in relation to artist-in-residence programs and to share their experiences . 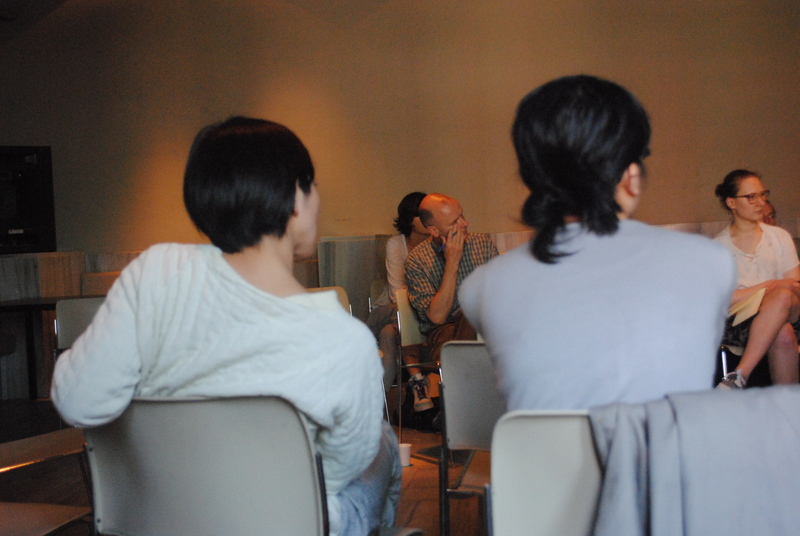 From this point Trans Artists developed a meeting including presentations, artist's talks and discussions about the challenges, which artist-in-residence centers in Japan are facing. Next to this we looked for practical examples how to prepare for entering situations of instability and conflict, and how to deal with those situations. We addressed the issue of receiving as AiR organizers artists in need, who come from unstable situations. And we looked for strategies and structures for sharing expertise and knowledge. However the meeting did not provide conclusive answers, sharing individual experiences and the problems faced, gave insight in complex situations and unraveled common difficulties in sometimes completely different contexts. Nishiko is a Japanese artist based in The Hague (NL). After the tsunami hit Japan she decided to visit the devastated areas, found a sponsor for her travel costs and initiated the Earthquake Repair project. 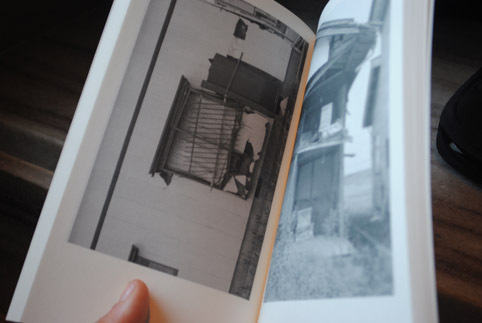 She set out to find things broken, in order to repair them in her temporary studio in Yokohama. “While interacting with all sorts of people through the action of repairing, I faced the mind-stopping wonder of nature, and the people who had undergone the trial of this personal experience”. 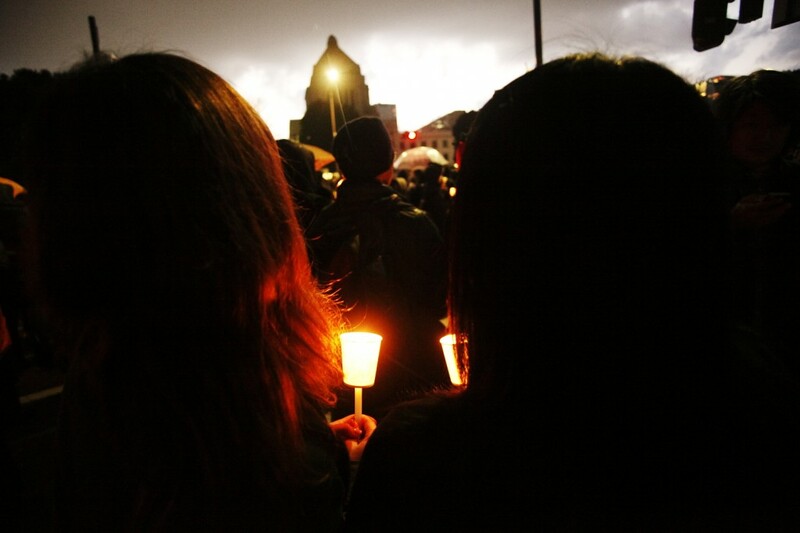 Her experience was that despite the tragic events, people appreciated her effort to come to take note of what happened. 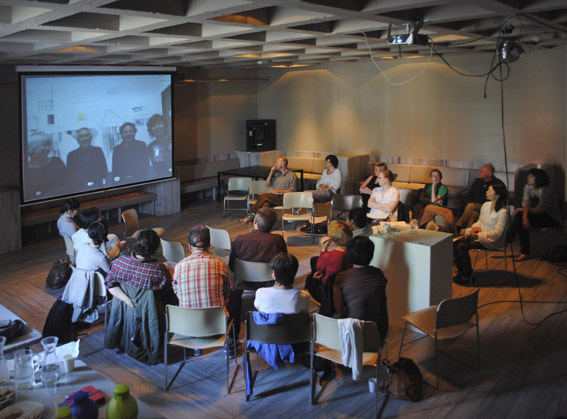 Mr. and Mrs. Tatsuhiko and Hiroko Murata, directors of Yukobo Art Space in Tokyo participated in the meeting through skype together with artists in residence Leontine Lieffering and Bart Benshop (NL). 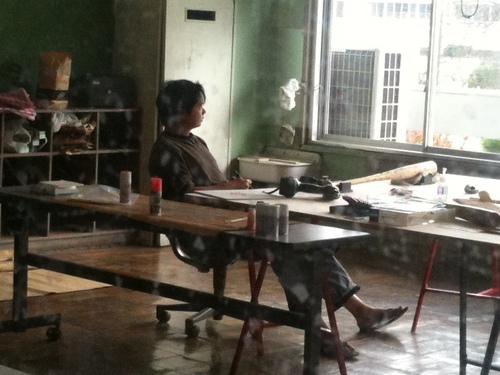 Both artists were at work at Youkobo Art Space at the time of the earthquake in March 2011. They decided to leave Tokyo, but returned one year later to continue their projects. As a private initiative Youkobo Art Space enjoys considerable freedom in the direction of their program, artists and projects. Roel Schoenmakers founder of Cascoland in Amsterdam, explained how the arrival of their guest artist Shahin Abdellah from Syria, involved them in a process to acquire him a status of refugee, since it was impossible for the artist to return home after the residence was finished. Cascoland operates by pushing boundaries in order to execute projects in public space in community based projects. This time they somehow continued that line of work by seeking for the loopholes in Dutch immigration law. Accordingly Artist Shahin Abdellah (Syria) spoke about his experiences after his arrival in Amsterdam, involvement in the local community art projects and future perspectives. Jan Willem Petersen, founder of Specialist Operations is an architect and researcher. He initiated a research project in post war Lebanon about the reconstruction efforts and its actors within, to describe the relationships and variables at play. Jan Willem spoke about his experience and practical solutions to work in conflict areas. 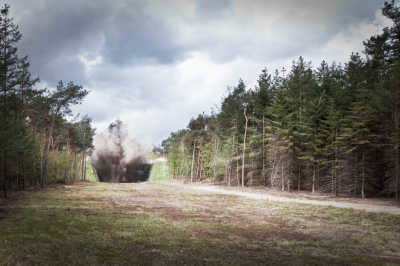 Specialist Operations received practical training at the Defense Training Facility (OTCGenie) in Reek, the Netherlands. 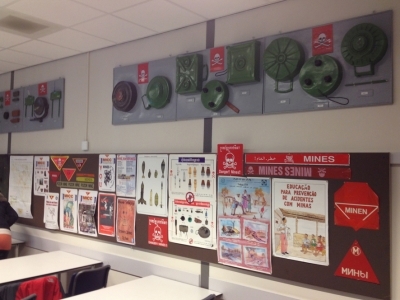 The course, organized by the Dutch Association of Journalists (NVJ), was initiated in order to raise a greater awareness on safety issues when operating in conflict areas, included ammunition awareness and minefield navigation. 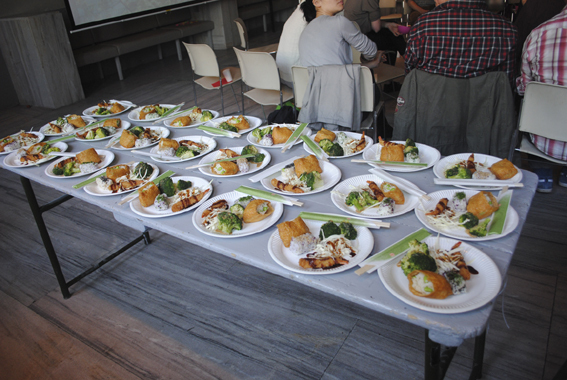 Trans Artists / Platform AiR NL wants to thank the participants who contributed to this program. A warm THANK YOU for their support in many ways goes out Mami Odai, Yuka Takeuchi, Yuko Kotera and Lab111. When heading for unkown territories, take responsibility and inform yourself. Besides the usual media look into the social networks online and networks through friends and colleagues. Get equipped, team up and connect to related professions with more experience and expertise. 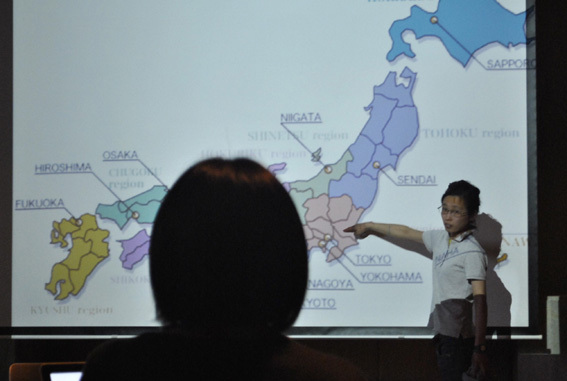 Arcus project in Japan informs their residents about precoutions and radiation > here. Are you working in the international field of research, text and media? Have a look at the Dutch NVJ Academy who organize courses and training for journalists and professionals working in the field of media. Amsterdam based art initiative Cascoland included an artist-in-residence in their community based projects as part of their working strategy. Thinking about setting up an artist-in-residence program yourself? Have a look at this CHECKLIST to see what it is all about. 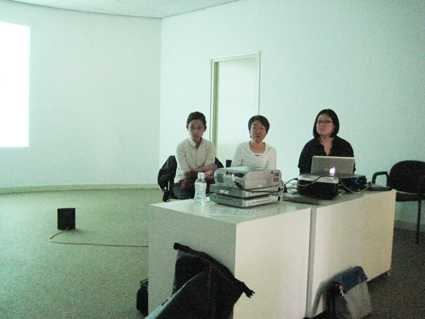 Mami Odai, artist Keiko Sato and artist Nishiko gave a presentation about their work and projects in the given context of Japan after March 2011, on May 13, at Zet Foundation, Amsterdam. The Hague, shelter city for activists? Thank you Yuko Kotera for a wonderful lunch.